You're going to love this craft because these bookmarks are uber cute and kinda addictive to make. 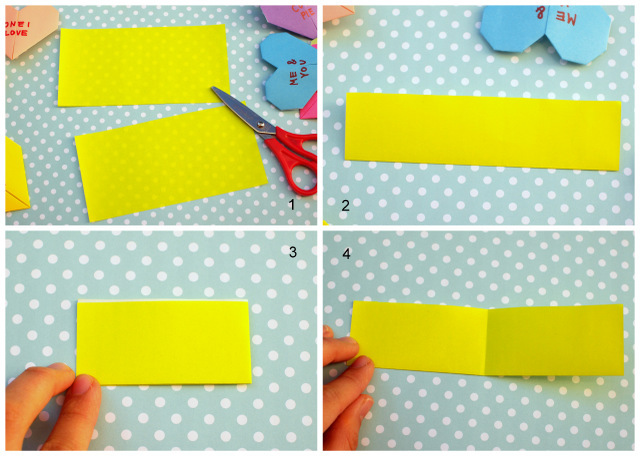 Let's Make some Origami Heart Corner Bookmarks! 1. Fold your paper in half and then cut it along the fold. Now you have two smaller, rectangular sheets of paper. 4. Open it up and you should see a fold in the middle. 5. Fold up one side of your paper against the folded line. 6. Repeat step 5 with the other side. 7. Now flip it over. Use a small piece of tape to hold both halves together. 8. Fold down the top portions. 9. Fold down the corners. 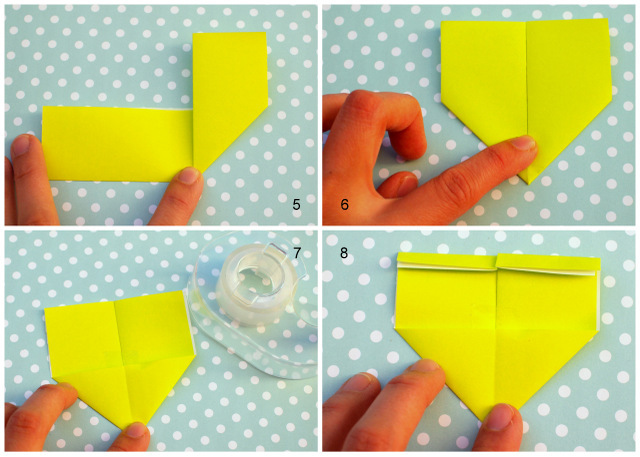 Flip your origami over and you should see a heart bookmark! Use your permanent marker and add some cheeky sayings! Looking for more Valentine’s Day crafts?